My mother, Jerri (pictured above in all her Three's Company via Charlie's Angels glory nearly 30 years ago), always said, "You have a book in you." My temptation, of course, was to reply, "Since when are you an X-Ray technician?" 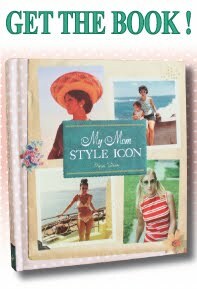 But the truth is, I've long sought to have a semi-autobiographical piece of not-quite-fiction published and adored, and always imagined that the dedication inside its sleeve would be prosaically inscribed to my mother. Part of that, admittedly, comes from pure, Psych 101 desperation for parental approval. But as I've gotten older, I've discovered how much of my ambition, self-belief and perseverant wit comes from my mother, and how indebted I am to both fulfilling that passed-down potential and conveying my appreciation for her influence. 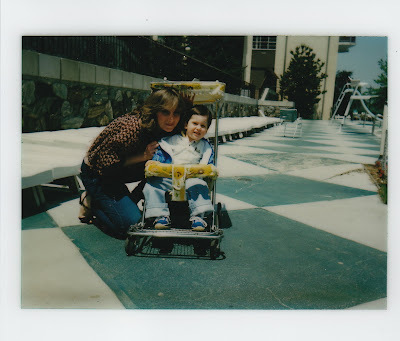 My mother's life, and our life as a family, was not easy. Those who know me best would probably argue that it was, at times, a certifiable struggle. But when you come from hard-luck Jewish DNA that has traveled through the worst iterations of poverty and persecution en route to settling in turn-of-the-century (as in 20th century) New York, bumps in the road and battles of will come with the diaspora. 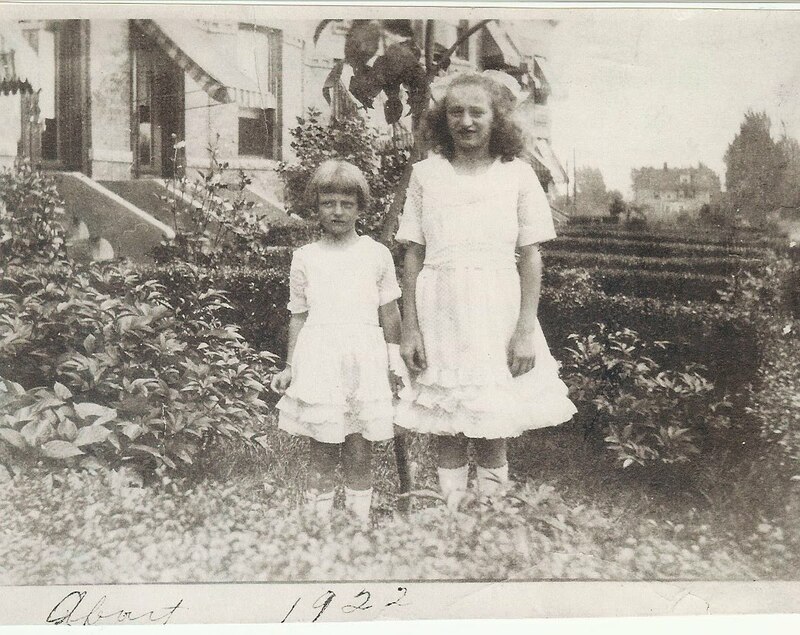 But my mother, just like her mother, Blanche (pictured below in long-ago 20th-century Brooklyn---she's the tall job of the two kids), was like a human starfish, regenerating stronger than ever after life would try and take a piece out of her. In other words, she was and still is, on the eve of her 65th birthday, a tough lady. She sometimes wrapped herself around those she loved so tight, her grasp was like an Anaconda. And while myself and Stephanie generally construed this as authoritative flexing, we know realize she kept us so close to protect us from needing to develop those same survival instincts. She fought through a troubled marriage and taxing divorce, the search to provide new stability for her two young children and a devastating stroke to our grandmother Blanche that left my mother, along with our exemplarily generous stepfather Walter, as her primary caretaker. She abandoned her own dreams of being an artist (and she is an outstanding one) to build a life for her children after her own world came crashing down. And later, spread herself that much thinner to ensure our grandmother spent her final years in dignity, surrounded by the people she loved. And as if those didn't suffice as transforming obstacles, she would eventually endure and (to no one's surprise) survive cancer. I take all this with me into my increasingly bright future, as I prepare to marry my beautiful and amazing fiancee Colleen (who's own amazing mother and my future mother-in-law, Polly, has been featured on this very site) and start my own family. And like anyone on the precipice of an enormous life transition, I will no doubt take inspiration from a breadth of sources, be they my own experiences, those of my intimate family and closest friends, or the larger human condition that I've observed. But I think I speak for both myself and my sister when I say that I may never reach my total potential, but without my mother's resiliency, selflessness, support and, yes, relentless urge to protect her kin, I wouldn't even be halfway there.